Hey Sioux Falls is the annual celebration and awards event of the startup community in Sioux Falls. It is organized by 1 Million Cups, the Zeal Center for Entrepreneurship and the Sioux Falls Chamber of Commerce. 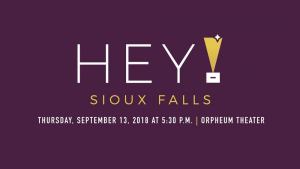 More than 300 community members gathered at the Orpheum at the inaugural Hey Sioux Falls event in September, 2018 and awards were given out in six unique categories. Learn more about Hey Sioux Falls at heysiouxfalls.com. 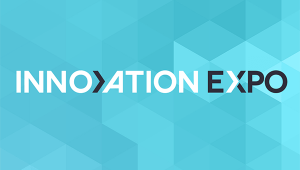 Innovation Expo is a conference focusing on connecting entrepreneurs, innovators, angel investors, venture capitalists, and the many others who are involved in developing startup companies. The annual event is held each October in Sioux Falls. it consists of speakers, breakout sessions, and networking focusing on the entrepreneurial community. Innovation Expo is organized by the South Dakota Enterprise Institute. Learn more at sdinnovationexpo.com. 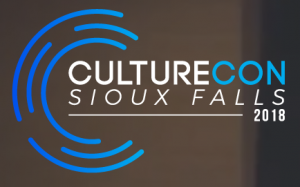 Culturecon Sioux Falls was designed with the direct intention of working through practical and tangible ways that individuals and organizations can work towards building a more intentional culture. This single-track conference is highly engaging with a very specific and targeted focus for the participants and businesses to leave empowered and equipped with tools to impact their organizational culture. Learn more at letsthink3d.com/culturecon/. TEDx is a program of local, self-organized events that bring people together to share a TED-like experience. 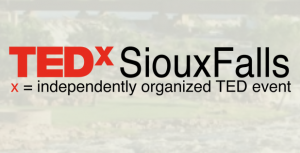 At TEDx Sioux Falls event, TED Talks video and live speakers will combine to spark deep discussion and connection in a small group. The TED Conference provides general guidance for the TEDx program, but individual TEDx events, including ours, are self-organized. Learn more about TedX Sioux Falls at tedxsiouxfalls.com. In just 54 hours, participants experience the highs, lows, fun, and pressure that make up life at a startup. As participants learn how to create a real company, they'll meet the very best mentors, investors, cofounders, and sponsors who are ready to help them get started. The most recent Startup Weekend in Sioux Falls was held in November, 2017 at the Zeal Center for Entrepreneurship. 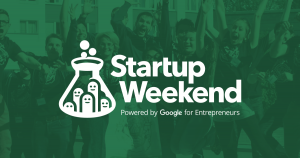 Learn more about Startup Weekend at startupweekend.org. Organized by the Governor's Office of Economic Development (GOED), Giant Vision is a startup competition for South Dakota residents or anyone that has a start-up business presence in South Dakota. The top eight entrants are invited to pitch at the annual GOED conference each April where they can win up to $20,000 in prize money to start and grow their businesses. Learn more at southdakotagiantvision.com. Sioux Falls Business Expo is a networking and learning opportunity for business owners and their management team. The next Sioux Falls Business Expo is scheduled for March, 2020. Learn more here. Looking to attend one of these events? Visit our events calendar to view dates, times and locations for upcoming startup events. 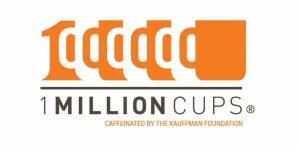 Million Cups is a weekly event based on the notion that entrepreneurs discover solutions and engage with their communities over coffee and conversation. It ponders the question, "What would happen if entrepreneurs had one million cups of coffee together?" In Sioux Falls, 1 Million Cups is a held every Wednesday at 9:00 AM at the Museum of Visual Materials in downtown Sioux Falls. You can view upcoming dates and speakers on Facebook using this link. 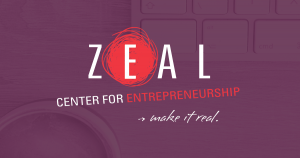 Organized by the Zeal Center for Entrepreneurship, this program focuses on providing insights into high-growth industries that are impacting South Dakota. Speakers highlight their entrepreneurial experience as well as the broader industry trends and developments. View upcoming Zeal Ignite speakers at realzeal.com. Utilizing Zeal’s professional partners and network the E-Playbook Series provides subject matter expertise covering key business segments; legal, accounting, marketing, funding/finance, sales/strategy, organizational development. The event is held at Zeal followed by a Zeal-hosted networking event. View upcoming Zeal e-playbook speakers at realzeal.com. 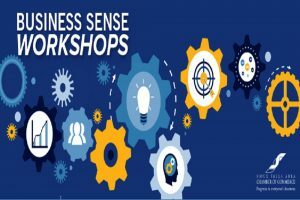 Organized by the Sioux Falls Area Chamber of Commerce, Business Sense Workshops offer business leaders the opportunity to learn skills from industry experts. Business Sense Workshops are offered on a weekly basis. To view or register for upcoming workshops, visit siouxfallschamber.com. Coffee 'n Connections is a bi-weekly coffee event for women entrepreneurs held at Queen City Bakery. This is a casual event that exists to offer support and encouragement to women entrepreneurs and business owners. This is a pitch-free and promo-free event. 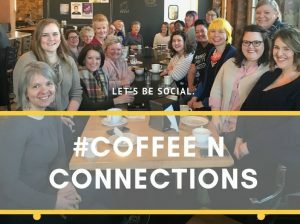 Future Coffee 'n Connections dates can be found on the Startup Sioux Falls Facebook Group. You can also read our article about Coffee 'N Connections.